It’s common sense and a proven fact that seat belts save lives and reduce injuries. That’s why we buckle our kids up from the moment we take them home from the hospital. Our children learn that they should always buckle up, yet for most, the first time they ride a school bus, is the first time in their lives they won’t. And it’s because seat belts aren’t there. What kind of message does that send to our kids? As you read this website, you’ll see all the safety and behavior benefits that adding seat belts – just like the ones in your car – on school buses can bring. With so much to be gained from their use, why are many school districts so against them? The answer is misinformation. It’s so prevalent and so widespread that it is getting in the way of doing the right thing for our kids. It’s time to be informed. It’s time to spread the facts. But we need parents like you to make it happen. You’ve taken an important first step by visiting this website. As you begin to call for seat belts, you will hear a lot of excuses against adding them. Don’t be discouraged. What you do will make a difference. Let us be a resource for you to learn and share the truth. 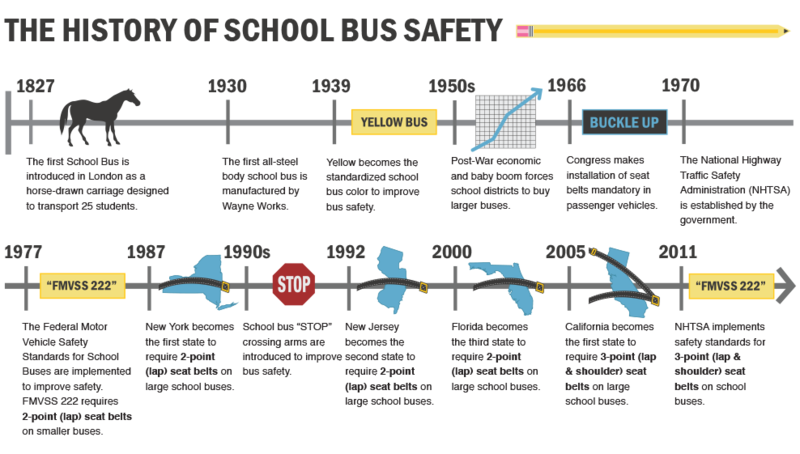 Once you’ve seen the proof, you’ll see there are No More Excuses for keeping seat belts off our children’s school buses. Share the information you’ve learned on our website via social media. 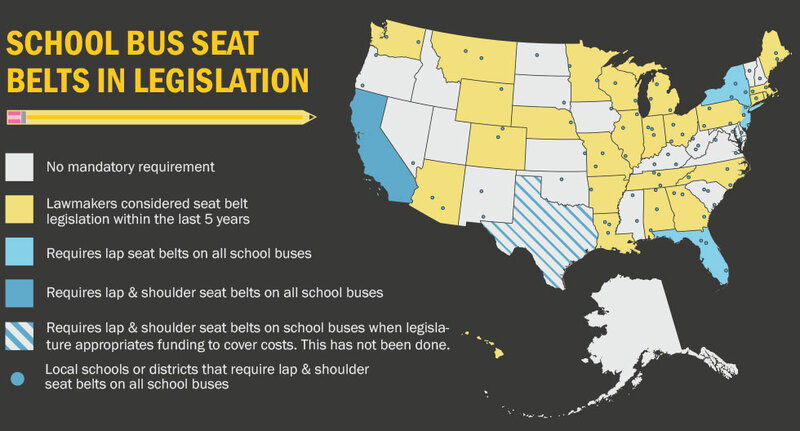 Advocate that your district start with seat belts on their travel school buses. Follow SafeGuard4Kids on Facebook and Twitter to stay up-to-date with the latest new, success stories, and resources.